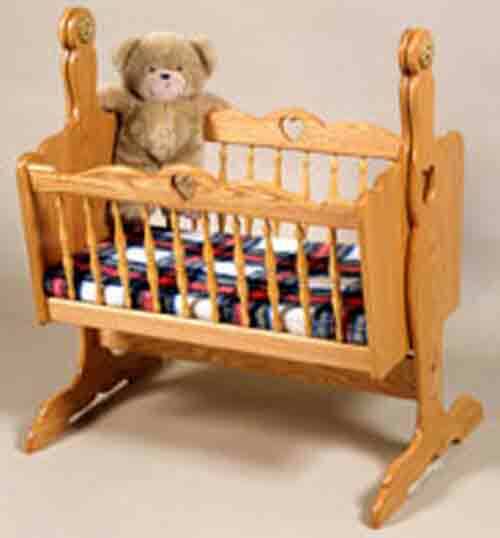 Doll Cradle Plans includes free PDF download. 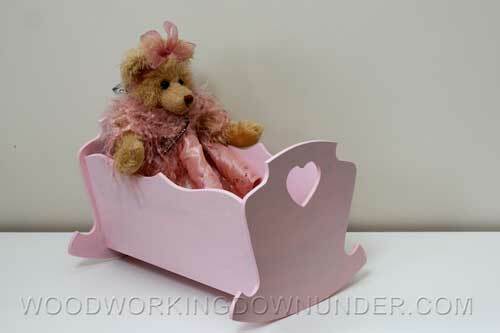 Doll cradle plans at very reasonable cost available from Woodworkers Workshop. Free shipping within USA and Canada. Earn reward points with each purchase. Make your own furniture perfectly sized for a 15 inch long baby doll like the American Girl® Bitty Baby doll shown here! 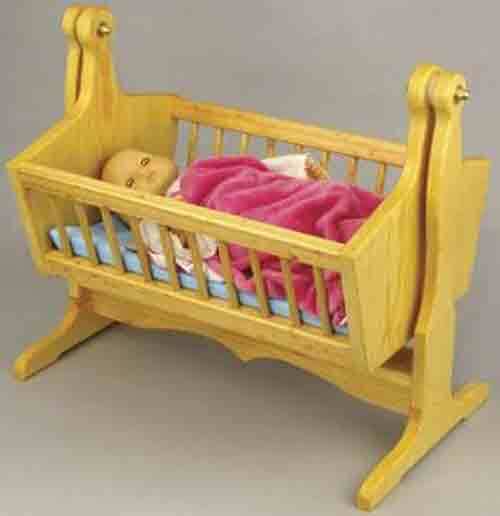 Your child can rock a favorite baby doll to sleep in our Swinging Doll Cradle. the project features simple construction from 3/4 inch thick pine (or a wood of your choice). All patterns are drawn FULL SIZE. Now that you have given your kids (or grandkids) armloads of dolls and stuffed animals, they are probably ready for some pint-sized furniture for their make-believe friends. Aspiring moms will find this scaled-down-version of a pendulum baby cradle the perfect place for a 15 inch long American Girl Bitty Baby Doll to beauty-nap. It makes a great gift anytime. 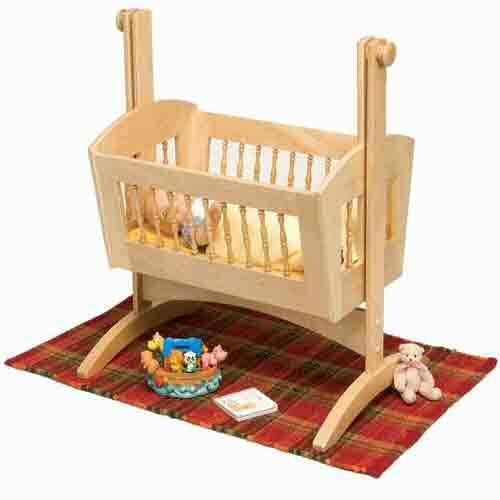 This is a scaled down version of a larger pendulum swinging baby cradle. Print ready PDF download, includes two sizes with full size patterns and instructions. Easy build for beginner with basic tools.